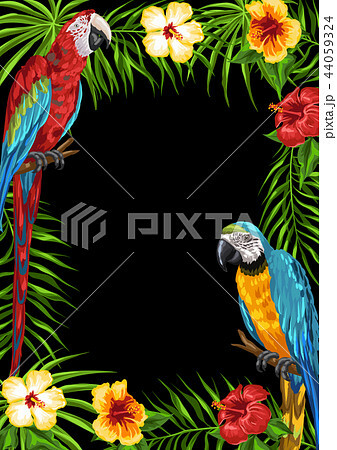 イラスト素材: Tropical frame with parrots. Tropical frame with parrots. Palm leaves, hibiscus flowers and exotic birds.